I’m happy to announce that the first part of Journey to Ariadne is now available for you to read! Part 1: Standby can be read here. You can also go directly to the new Ariadne page, which will provide you with a lot of information about upcoming stories, as well as the Ariadne Encyclopedia under development. You can also go to the Journey to Ariadne page here. Please enjoy reading! And while you’re at it, please follow both this blog, as well as my official author’s website for future updates. 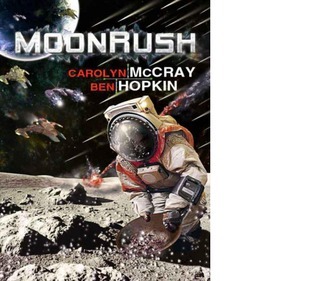 MoonRush, by Carolyn McCray and Ben Hopkin, is a near future space adventure with plenty of wild action. This science fiction story is all fiction and not very much science. I went into this book not expecting much, as it was a free book on Kindle, and is currently a very low-priced eBook. Unfortunately, this suffers from many problems that independently published books sometimes have. I had no problems with the editing, other than a handful of misspelled words. I think this is the longest eBook I’ve read so far. This made it difficult for me to finish quickly, for more than one reason. I think the biggest reason is that I just couldn’t read it for long periods of time before I wanted to quit and do something else. Why? Keep reading. The story itself is pretty straightforward. There are bunch of people looking to get rich quickly by going to the moon and finding valuable space diamonds while being chased by more than one bad guy. The action is non-stop. There is no downtime in this book. Action leads to more action, and they’re constantly moving. The action is reasonably well described, although it is often cartoonish and a bit unrealistic. As this is science fiction, I was expecting some kind of adherence to science. I didn’t get that. There are so many things wrong with the science in this book I don’t know where to start. I studied physics and astronomy in university, so this was hard for me to ignore. This is one of the reasons I couldn’t really enjoy this book. Another reason is that the narrative is filled with slang and cliche. I just don’t enjoy that kind of style of writing. It felt more like a sitcom crossed with anime. It really felt like an anime movie in book form. Maybe that’ll appeal to some people. The characters are all common stereotypical characters you’d find in some adventure stories. Jarod, the reckless leader who can’t stop cracking jokes. Rob, his eager and reckless nephew with a knack for mechanics. Cleo, the worrying mother type who can never relax and just constantly nags. Buton, the extremely intelligent scientist who is never wrong. Gil, the greedy rival who has connections. Dr. Weigner, the evil scientists who will do anything to succeed. There are more characters, but they all have one thing in common: they all seem to have little to no development. I also can’t take them seriously because they don’t seem like real people. The setting is occasionally not described very well. At times, I’m wondering if they’re wearing space suits because of the way some locations are described. I don’t know if there are airlocks for some of the buildings on the moon. I just didn’t get a good enough picture of what I was trying to imagine. Overall, I just couldn’t get into the book. I didn’t feel for the characters, I didn’t particularly like the writing style, and I felt like I couldn’t take anything seriously at all. Because of the nature of the writing, any suspense in the book didn’t create any kind of tension. I don’t mean to say this is a bad book. It’s not. It’s mediocre, in my opinion. Others may enjoy this book if they can suspend their disbelief in regards to the lack of scientific accuracy. It has good action, is fast-paced, and should be a fun read for many people. But my scientific background just won’t let me enjoy it as much. I understand there’s a sequel in the works, called MarsRush. Not sure if I’ll read it. I give this 2 stars out of 5. Not bad, but not great. Recommended for fans of action-packed adventure who don’t want a serious story. This week, we lost a member of our family. 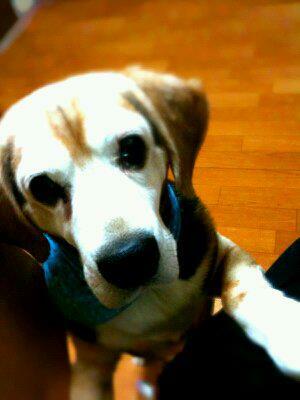 His name was Biscuit and he was a beagle. Biscuit was born somewhere in Japan, probably in Saitama, possibly around 1995. We don’t really know, because my wife found him as an abandoned stray in 2005. He was thin, scared, very cautious of people, and looked like he had a difficult time. The vet told my wife, who I hadn’t met yet, that he was probably about 10 years old. He was already an old guy. My wife searched for his owner without success, so she took him in. He slowly warmed to her and finally wagged his tail for the first time. He was getting used to her, and became a very happy dog. He was noisy, though. Beagles are notorious for their baying, and Biscuit did it as well. This was 8 years ago. Fast forward to 2010. I met my wife just over 3 years ago, and soon after, I met Biscuit. I found him to be a very friendly and quiet dog. Quiet? For some reason, he became a very quiet beagle. In fact, I could probably say he barked 10 times in the entire time I’ve lived with him. At the end of 2010, we moved in together and became a family of three. I quickly learned that Biscuit had bladder control problems. He peed on the floor if he couldn’t go outside. We had to clean up after him a lot. In the beginning, we shared the duty of taking him for a walk. But soon, it was usually my job to take him out. My wife was pregnant, and it was up to me to take care of him a lot of the time. I found that Biscuit was always a single-minded dog. He focused on one thing and wouldn’t let anything get in the way. His biggest passion was food. He attacked his food and ate his entire meal within a minute. He’d not only eat his food, but also any food we dropped on the floor. He attempted to eat anything we dropped on the floor, as well as any insects he found outside. He loved to eat cicadas, which were quite crunchy. I should mention that as he was already 16 years old two years ago, his age was creeping up on him. He was blind in one eye and had poor eyesight in his other eye when it was dark. We needed to keep a light on for him at night so he could see where he was walking. He was also hard of hearing. Unfortunately, he didn’t always see my wife next to him, so occasionally bit her when he was surprised. Once, I had to run around in the middle of the night looking for gauze and disinfectant for a nasty bite he gave to her foot while sleeping. She had to be careful around him. For some reason, he wouldn’t bite me. As I said, he had a ravenous appetite, even in his old age. He’d somehow opened our kitchen pantry door and got into the food several times. Once was his dog food. He ate enough dog food to last him a week. He was enormous. He didn’t seem to know his limits with food at all. But he didn’t just stick with his food. He also ate half a box of raisin bran cereal (raisins can be toxic to dogs) and got into a bag of very expensive rice. We were very upset with him. Looking back on these incidents now, I can only laugh. It seems quite funny now. He also had a favourite snack, which we called “hone hone (ho-nay ho-nay)” which means “bone bone.” It was a rawhide stick wrapped in dried meat. He loved it so much, but eventually had to stop giving it to him because it was getting more difficult for him to eat it. Biscuit’s health started declining a few months ago. His bladder control was getting worse, and he was even losing control of his bowels. I cleaned the floor countless times because of this, and became quite frustrated. That is one of my biggest regrets. I knew he was having control problems, but I still felt angry at times. I noticed that he began losing weight, as well. He was always a bit of a chubby dog, but over the past few months, he lost both fat and muscle weight. It was like his muscles were wasting away. We fed him just as much as usual, which is the recommended amount for his breed and age, but he kept losing weight. His strength slowly went, as well. In the past two months, he stumbled quite a bit and was finding it difficult to jump up the step in front of our apartment building. His energy seemed to be boundless, though. He continued his obsessive circling in the dining room, as he always did. We started feeding him more food than before, hoping he’d start gaining weight again. It didn’t work. No matter how much we fed him, he kept losing it. One week ago today, it was the beginning of the end. He couldn’t walk. He laid in his urine and had to be cleaned up. I couldn’t take him out, because his hind legs were so unsteady. His leg muscles were so thin and weak. We went shopping for him and bought a new bed, which we wrapped in plastic for easy cleaning, as well as dog diapers and extra large pet sheets. We also got wet wipes and dry shampoo to use to clean him every day. He seemed to show a lot of frustration being unable to go to the kitchen to eat and drink, so we brought it to him. He still wanted to get up and walk around, but couldn’t. On Friday, he surprised us by standing up and walking around. We were relieved that he was doing better, but decided to continue to use the diapers, since he’d started peeing in his sleep. I took him out for a walk, and we went to the park that I always used to take him. He seemed just like before, happy to be outside. He had a little trouble crouching to take a poop, though. We went back inside, and he continued to be his old self until later in the day. We went out shopping at Costco, and when we returned, he couldn’t stand again. That day was the last day he walked. On Saturday and Sunday, he continued in the same way, laying on the floor, unable to get up and walk. He dragged himself around with his front legs to get to his food and water, which we placed near him. He slept most of the day, but he was alert when he was awake. On Monday, he started crying. He cried so much during the evening that our daughter couldn’t take her nap. When I came home, I could hear his crying. It wasn’t that he couldn’t eat or drink. He was most likely in pain. That night, he barked. Not just barking, but also baying. That was very unusual for him, and I tried to keep him quiet, as it was late at night. I tried to comfort him, but he often started barking again when he was left alone. He was awake much of the day, and he seemed to want to move around. Unfortunately, this was the last day that he could lift his head. On Tuesday morning, before I went to work, I changed his diaper with the help of my wife. He was very weak, and we could only hear him groaning as we held him up to change his diaper. I figured that he only had a few days left at this point. I went to work and spent my day as usual. When I got home, I went over to Biscuit to say hi. I bent down to pet him, but found him to be very still. I thought he was sleeping. When I touched him, I knew immediately that he was gone. He was hard and stiff. I said to my wife, “Come here.” She asked why, and I answered, “I think he’s dead.” My wife asked if I was sure. She had checked on him only two hours before, and he was breathing. In fact, he tried to bite her that day. We spent some time looking at him, hoping he was just in a deep sleep. He never moved, never breathed. I felt disbelief. Although I knew he didn’t have long to live, I still couldn’t believe it. That night, I felt depressed. I couldn’t think of anything but Biscuit. I kept thinking about how I wanted to take him out walking again. That was our time. We walked outside together often, and I wanted to do it again. Yesterday, I went to work. It was a good distraction, and I could keep my mind off of everything that happened the night before. But the day dragged on very slowly. I wanted to go home. When I got home, there was Biscuit, laying on the floor just as I’d left him that morning. He looked so peaceful. It hit me hard last night that he wasn’t coming back. This morning, we said goodbye to Biscuit for the last time. His body was taken to be cremated. The man who came to pick him up knelt down on the floor in front of him and prayed while holding Buddhist prayer beads. This was hard for me to watch. When he picked Biscuit up and held him before us, my wife, daughter and I pet him one last time. Then he walked out of our apartment and to his van. This was a very difficult moment. I couldn’t hold back my tears. He came back to us and gave us our bill, and we paid. We watched him drive off. We found out that Biscuit weighed 8kg. He’d lost 5kg in the last few months. My wife told me not to cry. I couldn’t help it. I’m not ashamed to admit that I did. It’s been only two days and I still find it hard not to cry. Even though I only lived with him for two years, I loved him very much. My wife showed me a poem a couple of years ago when I told her about my old dog, Mickey. She wanted me to know that he was happy and waiting to meet me again. She showed me the poem again last night after I got home from work. I’ll share it with you here. There is plenty of food, water and sunshine, and our friends are warm and comfortable.All the animals who had been ill and old are restored to health and vigor; those who were hurt or maimed are made whole and strong again, just as we remember them in our dreams of days and times gone by. My wife says that we will see him again, and if we cry, he’ll be worried, and won’t cross over to Rainbow Bridge. This has been the most difficult thing I’ve ever written. This will be the last time I shed tears for Biscuit. I will remember the happy times with him. He was my friend. He was family. I will miss him very much. I’ll remember the clicking of his nails on the floor as he walked around. I’ll remember his happy eyes as he looked at me. I’ll remember the way he loved to be scratched on his hips. Biscuit, thank you for being in my life. I love you, and hope you’ll be waiting to see us again. Please find Mickey and be friends with him. Goodbye. See you in the future. Rest in peace, Biscuit. 1995(?) – February 19, 2013. I’d intended to have the first Journey to Ariadne story up this weekend, but due to unforeseen circumstances, I’ve been unable to work on it. The main reasons being my daughter getting sick with some stomach virus and our dog’s physical condition declining so quickly that he’s barely able to walk anymore. I hope to get back on track tomorrow night. It’s difficult to stay up to write when my daughter has trouble sleeping at night. When she can’t sleep, neither can I. How do you deal with these situations when you’re trying to write? 431 words in the past hour. Not a large amount, but it is the opening. I find that the opening of a story is one of the hardest things to write. How do I establish the scene? How do I introduce the characters? How do I create an atmosphere? It’s not easy. I think as I get deeper into the story, the words will flow much more freely. I need to get into the zone and have no distractions, which isn’t always possible. But it has started in a room somewhere on Mars with an American and an Italian. I hope to be finished the first installment of Journey to Ariadne this week and have it posted at my official website. So my question to you is: What do you find to be the most difficult part of starting a new story? Please post your answer in the comments. At the moment, I would say my favourite ramen shop is Yottekoya. It’s a chain restaurant, and there are two in Fujisawa. I go to the one in Shonandai. 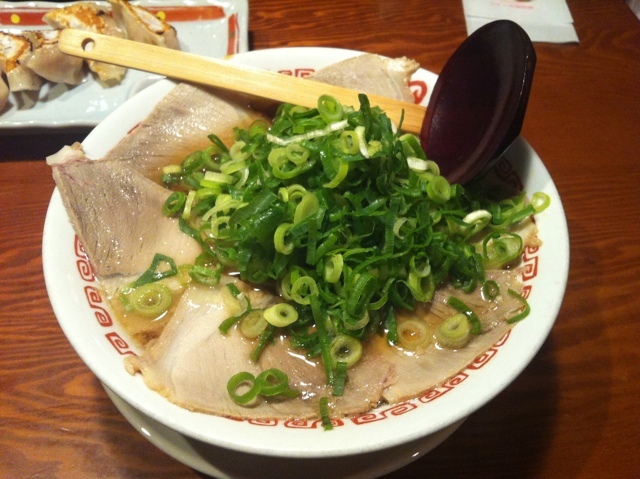 It specialises in Tokyo style tonkotsu ramen. Tonkotsu ramen is from Kyushu, but the local type here is a bit different. I ordered the Nokoshoyu Ramen, which is a newer addition to the menu. It’s a soy sauce based ramen with pork and lots of green onion. This ramen is really good! In addition to the ramen, I had the hanchahan (half size serving of Chinese fried rice) as part of a set, which is 810 yen. 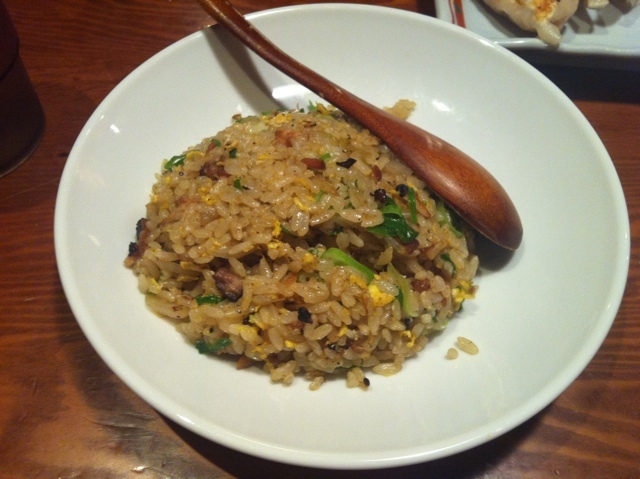 The fried rice is good, and has plenty of grilled pork in it. This is also a new menu item. My wife had her own ramen, and she ordered a gyoza set. I shared the gyoza with her. 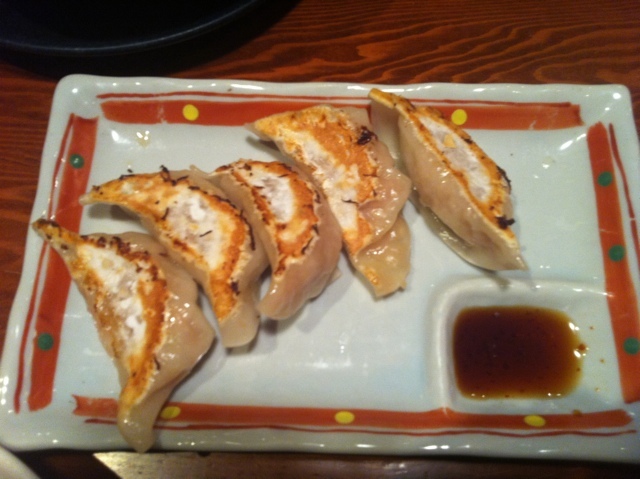 I love gyoza, so this was also great to have. Very good! Gyoza and soy sauce/vinegar dip with chili pepper. These are all very popular foods in Japan, although they are all Chinese in origin. However, Japan has adapted the ramen for Japanese tastes, and it’s not quite Chinese now. It’s more of a Japanese food now. 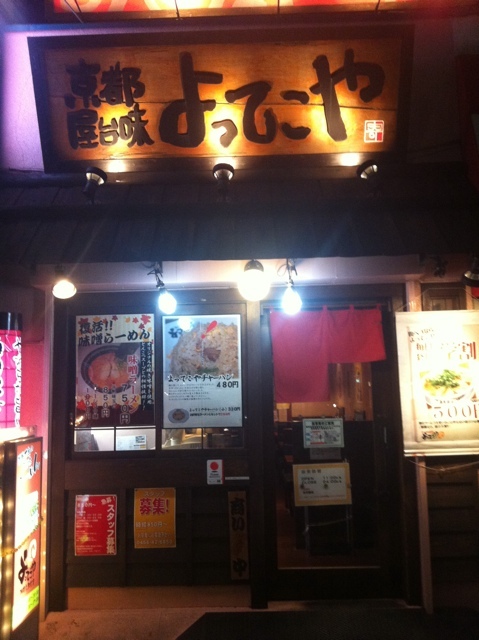 Yottekoya is a nice little ramen shop to go to in Japan. I highly recommend it. This is a reblog from my author website. Please head on over and subscribe if you’d like to receive updates when I complete short stories. Leading up to the eventual release of the first book of Ariadne: Origins, I present to you Journey to Ariadne. In the coming weeks and months, I will be posting short stories in the form of personal experiences of the people involved in the colonisation of Ariadne. I will begin, quite remarkably, at the beginning. You will get to know some of the characters that will appear in the first book, as well as see how they achieved their incredible journey. These stories won’t be very long, so they’ll be easy to read in a short sitting. They’ll all be collected in the Ariadne Encyclopedia, which I will create soon and continue to add to as the stories develop.